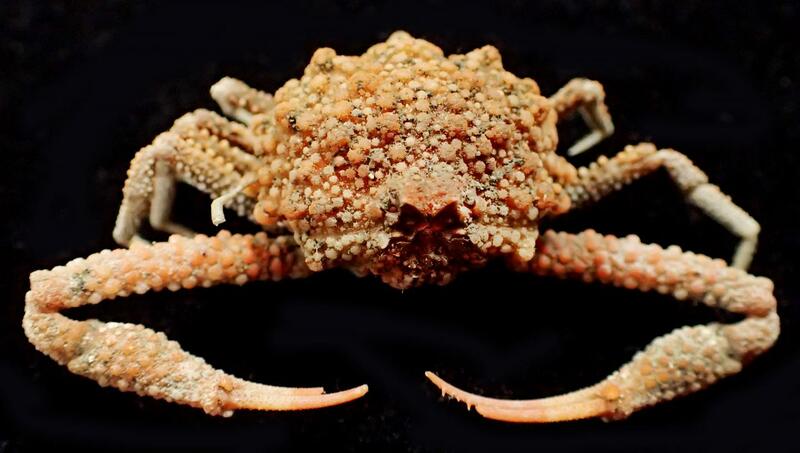 From a red coral fishing ground off Taiwan, scientists have collected a new species of crab. The orange crustacean is covered in numerous tiny, star-shaped protrusions and has been named Pariphiculus stellatus, from the Latin word stellatus meaning ‘starry’. 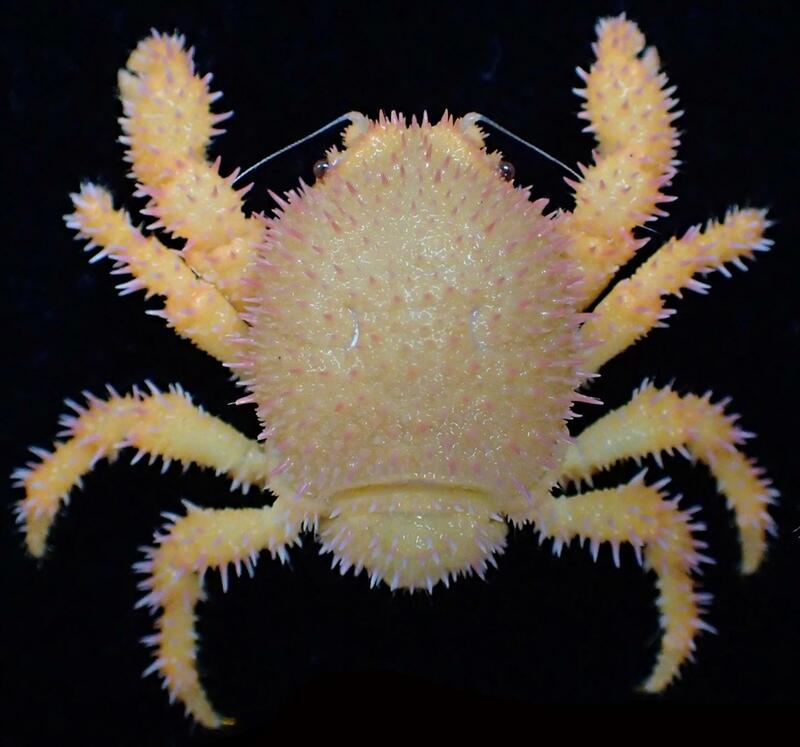 In the same study, the scientists report the first-ever record of a rare crab species – Acanthodromia margarita – that they collected from the red coral beds. A small seamount by Peng-Chia-Yu Island, located 60 kilometers (~37 miles) off Taiwan, is prized for its red corals — corals with red or pink skeletons, popularly used for jewelry. From these red coral fishing grounds, scientists have collected a new species of crab: an orange crustacean covered in numerous tiny, star-shaped protrusions. The crab has also been discovered in the Philippines. 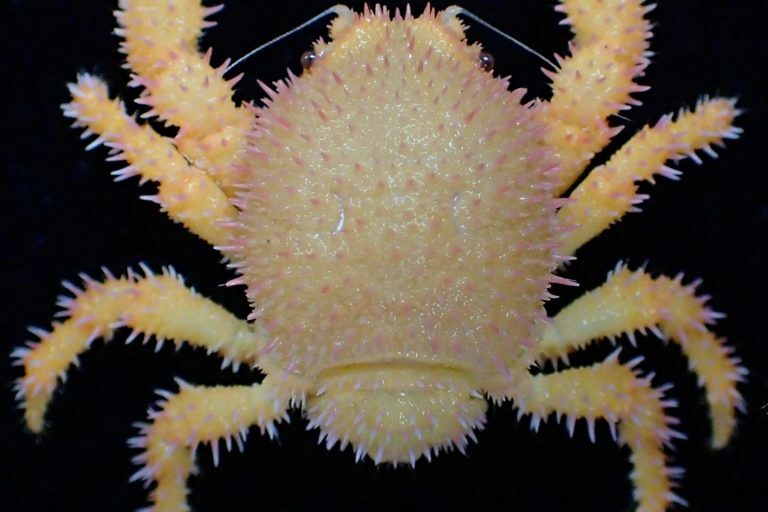 In a new study published in the journal ZooKeys, scientists have named the crab Pariphiculus stellatus, from the Latin word stellatus meaning ‘starry’. The new species Pariphiculus stellatus has star-like outgrowths on its body. Photo by Dr. Peter K. L. Ng. The crab’s orange color varies too. 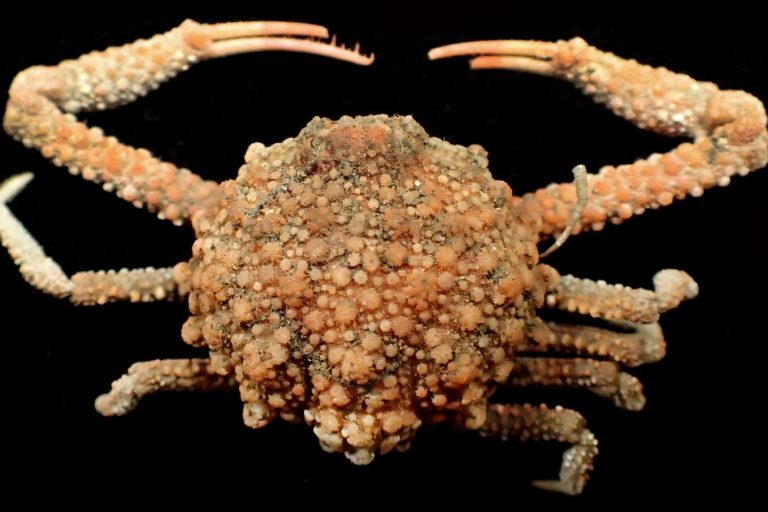 While some specimens of the crab that the scientists collected were dull orange with white patches, others had pale or intense orange shells, with white spots covering whole or part of the tiny protrusions. The underside of the crab’s body is typically dirty white to light brown, authors Peter Ng of National University of Singapore and Ming-Shiou Jeng of the Biodiversity Research Center, Academia Sinica, Taiwan, write in the paper. 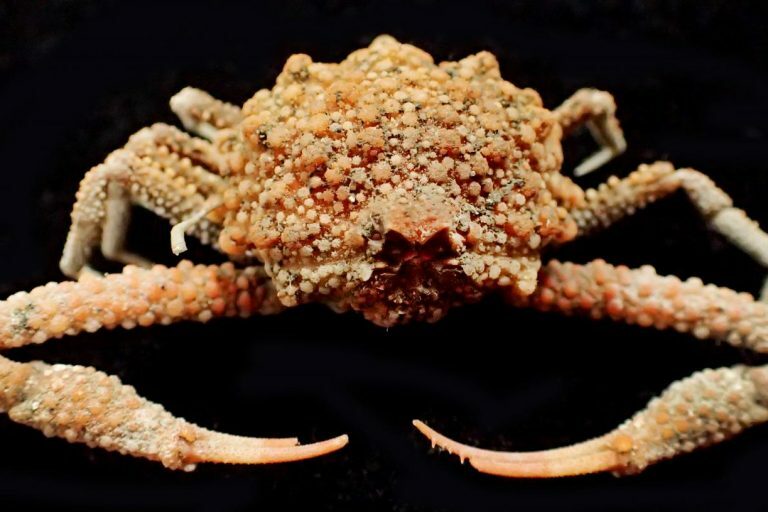 In the same study, the scientists report the first-ever record of a rare crab species — Acanthodromia margarita — that they collected from the red coral beds. The crab was previously known only from the Andaman Sea in the eastern Indian Ocean, Japan and the Philippines. Acanthodromia margarita has a striking orange-pink or orange-yellow body covered with tiny spines, which makes it look like a hedgehog, Peter Ng said in the statement. 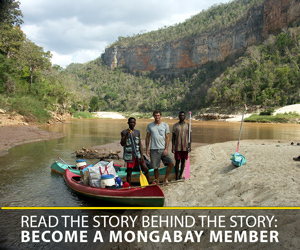 Moreover, the female crab they collected is one of the largest representatives of the species known so far, he said. The newly recorded from Taiwan species Acanthodromia margarita. Photo by Dr. Peter K. L. Ng. The starlike outgrowths change with age. Photo of adult specimen of new species by Peter K. L. Ng.